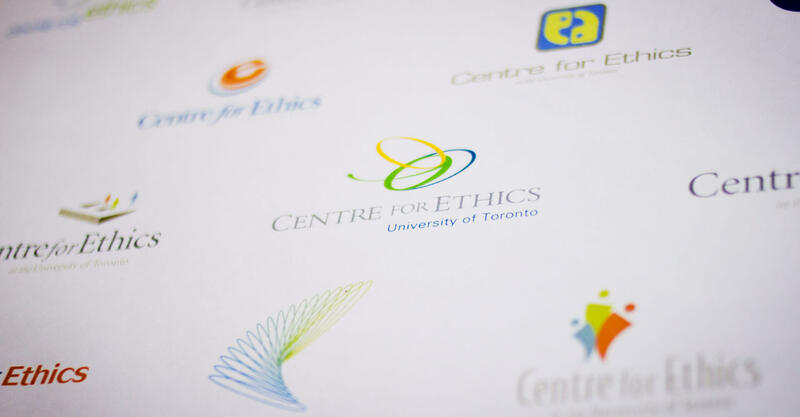 The Centre for Ethics at the University of Toronto fosters research, teaching and public discussion of the moral dimensions of contemporary individual, social and political life. The Centre was founded in July 2005, but had already engaged Jump to assist with the development of a brand for the new interdisciplinary faculty. Our mandate was to develop an identity revolving around the three pillars of ethics defined in the Centre’s mission statement: I. Foundations of Ethics, which encompasses the history of ethics and core concepts in the philosophical study of ethics; II. Ethics in Action, which relates theory to practice in key domains of social life, including bioethics, business ethics, and ethics in the public sphere; III. 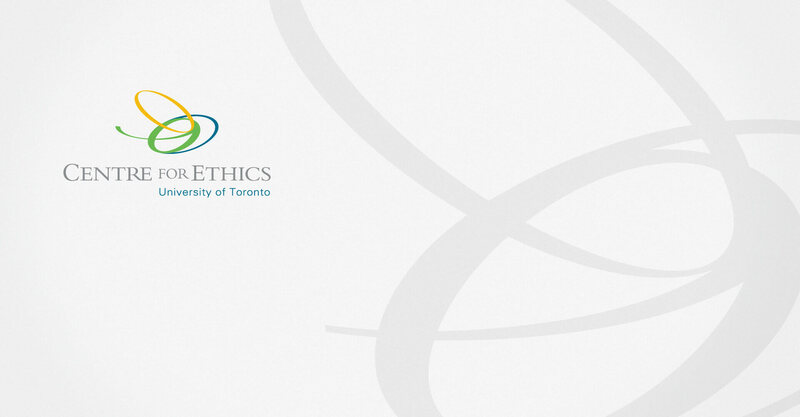 Ethics in Translation, which draws upon the rich multiculturalism of the City of Toronto and addresses the ethics of multicultural societies, ethical discourse across religious and cultural boundaries, and the ethics of international society. Coupled with this was the need to develop a contemporary, aspirational identity that could fit into the overarching brand of the University of Toronto. Working with a committee of eager university professors from diverse fields of study, we led brand strategy sessions aimed at revealing the purpose of the Centre from their unique perspectives, and to understand the sandbox that defines the field of Ethics. We learned that the Centre for Ethics would provide a forum for intellectual discussion around ethical issues; a place for like-minded professors (and sometimes opposing minds!) to converge and explore specific topics that straddle faculty lines and sometimes fall outside of them. More practically, the Centre would host a monthly speaker series, opportunities for post-graduate fellowship studies, and research projects, all revolving around the central theme of ethical discovery. 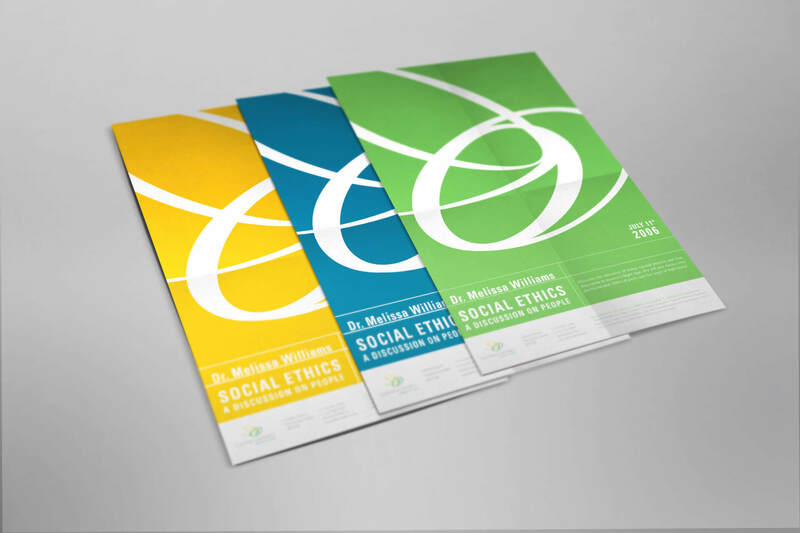 The logo we developed captures the core essence of the Centre; the three coloured bands represent the three pillars of ethics, each indicating a separate focus. The convergence of thought, the circular nature of discussion, and the symbiotic representation of ideas area all captured in an abstract contemporary, and beautiful icon, which is grounded by a more conservative and austere wordmark that is rooted in tradition and in keeping with the University brand. 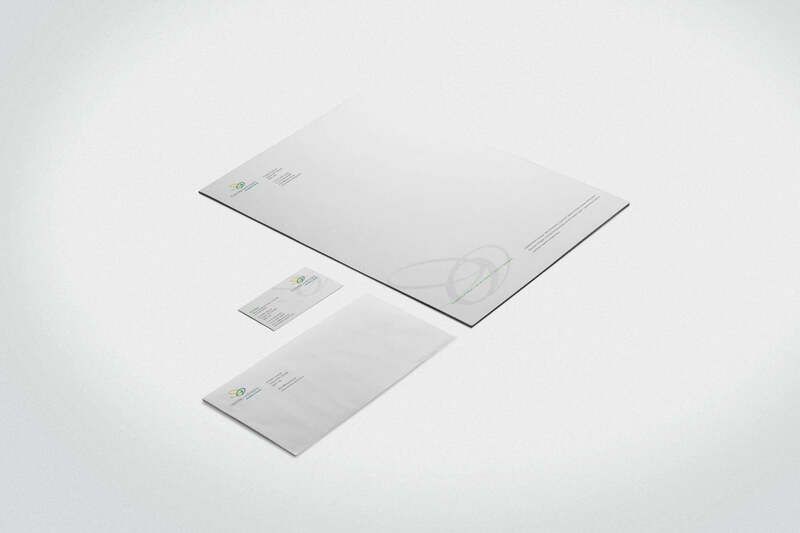 Once we developed the brand identity, we designed business cards and a stationery package. We also developed a wide range of collateral materials including event (launch) invitations, seminar series posters, a website, and a signature wall mural containing inspirational and ethical quotes in many languages, from ancient hieroglyphs to modern binary code. The mural adorns the main hallway of the Centre, and is accompanied by a supporting booklet that translates each quote and explains its significance. Developing the Online Presence: The website for the Centre was to be used to promote the Centre itself, the unique events it put on, and the courses it offered under it’s umbrella. It was important for the Centre staff to be able to update the website themselves, promoting their Speaker Series and other events on their homepage and on an interactive calendar. Faculty Bios, course information, and other academic materials were all required elements.